“The hand reading with Baeth was the best investment of money I have made this year. The reading was enormously insightful and clarified so many issues I am dealing with. going back to the recording many times over to ensure that I use all the invaluable information she gave me. Sharing “Your Purpose” for profit and passion (making a difference DOING WHAT YOU LOVE!). PROFITABLY bring YOUR authentic Purpose to full expression. Our personal journey begins the moment we take our first breath. Along this journey, we uncover layer by layer who we are meant to be. The deep meditative questions, the silent moments of reflection, the heartfelt prayers, the heartaches, pains and struggles but most of all, the gratitude for it all, are the pieces we need to grow spiritually, physically, emotionally and mentally on this journey. JoAnn is a master at helping people along their personal journey. She has experienced much on her own journey, many times through kicking and screaming, although this is not always recommended- but at times, unavoidable. 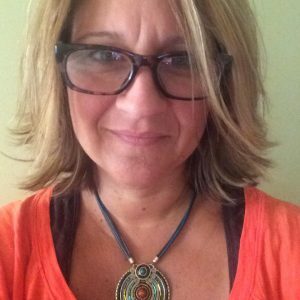 She understands the spiritual and emotional anguish of not living an authentic life and uses her tools to help her clients recognize how they can move through their spiritual crisis of meaning to a life in alignment with the realization of who they really are. JoAnn uses Scientific Hand Analysis as an avenue to reach to that inner part of us. The part that might be hiding for fear of being exposed, seen or rejected. She helps her clients recognize that which is ready to be revealed and compassionately holds the space for them to align with the energy of their own authentic power. JoAnn also holds certifications as a Spiritual Master Practitioner, Master Hypnotherapist, NLP Coach and Practitioner and Time Line Therapy. 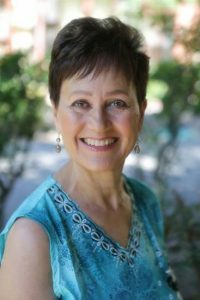 Her years of studies and practice have come together beautifully to have a tremendous impact on her clients who are searching for spiritual meaning, understanding and self love. What Can I Learn in a Hand Analysis Session? Your hands reveal two key areas of information: your fingerprints and the lines on your palms. By looking at the lines on your palms, I can determine where you are experiencing both success and resistance in relationship to your Life Purpose and Life Lesson right now. Everything on your palms is decoded in terms of now – rather than the past or future. What Are the Benefits of Hand Analysis? Can You Predict My Future? No. The stereotypical image of a turbaned Gypsy with big hoop earrings (and I love hoop earrings!) staring into her crystal ball in order to predict your future does a disservice to both palmists and to Gypsies, a group of people still in existence today.I read everything in your palms in terms of your life RIGHT NOW. Your palms reveal your behaviors over time. Past behavior is often a good indicator of future probabilities. However, that being said, you have free will. Because of our ability to choose, we can transcend our past behavior from a desire to change and create greater fulfillment in our lives.I can see patterns, trends and probabilities. As a non-predictive palmist, I help you jump start your own spiritual evolution by bringing consciousness to these patterns, trends and probabilities. We can look at where you are stuck and where you WANT to be. Are you using your gifts? Are you fully showing up in your relationships? Are you communicating your inner truth? Your hands reveal insights to these questions.